It is a room as magnificent as our Superior Masia room, but without terrace. However, being one floor above, it enjoys such a spectacular view. The feeling of being apart and away from everything, in full privacy, is much more evident in this room. 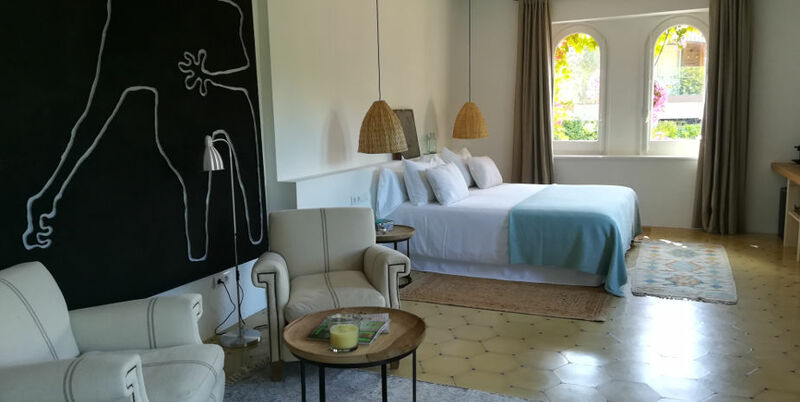 It has a direct entrance from a landscaped courtyard with chill-out, shared only with the guests of the other large rooms of the Masía. Relax, privacy, time to rediscover, vacation time: in this environment every evening will be practically perfect.